Dr Chika Robertson is a CEO of Music Mind Spirit Trust, UK. Dr Chika Robertson is a CEO of Music Mind Spirit Trust, UK . With her background as a multiple prize-winner solo violinist, Chika Robertson was awarded fellowships to work with distinguished conductors including Ozawa and Bernstein for prestigious music festivals including Aspen, Tanglewood and the Mozarteum. In 2004 Dr Chika Robertson developed the SongTrees project in the UK as a Music Mind Spirit trust project. The main objectives of the initial SongTrees project were, through sharing musical memories with their parents, grandparents and friends, children gain insight into their cultural identity and create a valuable archive for musical/medical research. Chika is passionate about education and the involvement of music throughout the curriculum, working with pupils of all ages and standards to develop and explore creative approaches to teaching and performing. 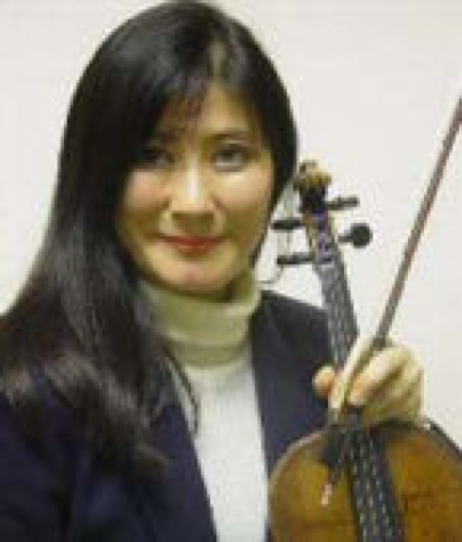 She is a Professor of Violin at the Royal Academy of Music, Junior Academy; and is a Diploma Examiner for the ABRSM (Associated Board of the Royal Schools of Music). She was granted her PhD in contemporary violin pedagogy and performing practice in 1999. Chika’s online profile can be seen here.